If you could go back in time and give one piece of advice to yourself right before the fellowship started, what would it be? The responses showed a diversity of backgrounds and personalities, although a common theme does shine through – go out of your comfort zone and take full advantage of the experience. The fellowship provides plenty of opportunities to learn a new process, discover new ways to work, and create enduring relationships with incredible people. 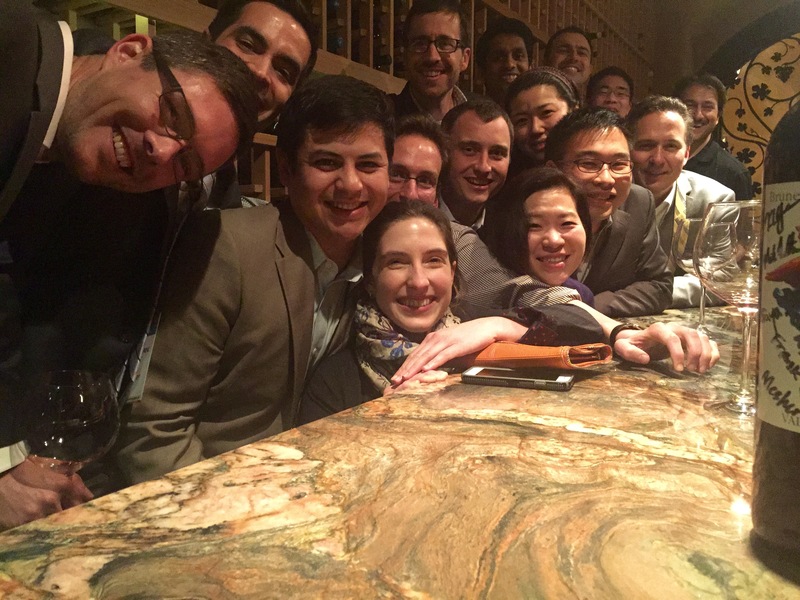 In the world of graduate medical education (GME), like many industries, you show up on day one realizing that you’ll be grinding through the next several years with a new core group of co-residents or co-fellows. You form alliances to serve each other’s needs for back-up, collaboration in research, and friendship that often turns to a sense of new family. Even still, the GME experience is largely self-driven, so your approach to the “team” mentality can come in various forms. I often found my most productive time first to be operating independently, then collaborating with team members to achieve a unified goal. Much of this seems to fall in line with the Biodesign experience, and self-awareness becomes key to appreciating the subtle differences. Reaching out to your soon-to-be co-fellows prior to the official start date can help you to get a sense of your upcoming landscape. Come day one, the Biodesign experience tackles the team approach mode, so my advice would be to prepare yourself mentally for this subtle yet meaningful shift that translates to project management. We met as a team early and often to define our personality traits and work habits that might be relevant to both individual and team productivity. This has served as a framework throughout the year that we have used either individually or as a team to map out our goals. With an early vision of this foundation, both you and your team can move forward faster and more efficiently. If I could go back and give myself one piece of advice it would be to work outside of my comfort zone. I came into the fellowship with a strong background in clinical medicine. Therefore, it was easy for me to focus on the clinical aspects of our needs and concepts. While I should be very involved in those aspects, I wish I stretched myself to really take the lead in an area that I am not as familiar with like the market analysis and business plan development. Since in the long run I will have lots of experience with clinical needs and much less with the business aspects of being an inventor/entrepreneur. When I started Biodesign I knew that 10 months would go by quickly. Everybody warned us; it was no surprise. What I did not expect was how hard, and time consuming, it would be to “kill” needs that we had spent so much effort building and nurturing. This became especially difficult as the needs became fewer over time. The flat structure of the team is great for creativity and ingenuity, but it does present some challenges when four people have four separate opinions on a topic. It’s no less complicated when the opinions are split 50/50 or one person is left “odd man out”. Working through these issues, however, is part of the hidden jewel of the Biodesign process. This helped us all grow as individuals and collectively. My advice to those entering Biodesign would be to work fast through the “easy” problems that the team will unanimously agree upon so that you can get to the tough decisions faster and spend more time exploring those issues as a team. Regardless of what your team may invent or what company you may start, one thing you will surely gain from Biodesign is a new appreciation for teamwork. At the beginning of the fellowship, I was instantly overwhelmed by the quantity of quality people that I came across. The individuals that Biodesign brings in are at the top in our industry. I tried and quickly failed to grow every new relationship, because there simply isn’t enough time. The year is short. One of the relationships that stuck was with my alumni coach, Nick Mourlas. His advice was to deeply invest in a few mentor relationships. I’d like to pass along the same advice. Instead of juggling fifty mentors, find one or two who you click with and share core values with, and who are delighted to invest in you too. My mentor relationship with Nick is a great example. We meet monthly, but it’s clear that he’d be willing to meet more often. Nick also continues to meet with his former mentee from a previous year, and brings me into the fold to learn from their combined experience. Nick assigns homework for all of us, himself included. We go through books together, and leverage the material to discuss each of our current career challenges. In retrospect, I would have worried less about the quantity of, and focused more on the quality of my mentor relationships. Again, the year is short. Invest in building relationships that will live on. When we’re in the middle of the journey we chart through the fellowship it isn’t always clear where we are on the map and which direction we’re headed. In the first half of the year I often felt a tension between embracing the work that was to be done and a desire to see where we were headed. Now that we’re a bit farther along I can look back with a little more perspective, and if I have an opportunity to speak with next year’s fellows before they start I’ll pass along something that Dr. Krummel said to us, “The purpose of post-graduate fellowships is to enable people to be independent in their field.” We’re clearly not being trained to work alone — radical teamwork is woven deeply in the fabric of biodesign — what he means is that we’re being guided through this process such that we could do it again without hand-holding in the future. So, while it’s normal not to know what the next steps are or how it will turn out the first time you try something, my advice for those just starting on this journey would be to make sure you’re achieving the purpose. Don’t drift through only on the advice of our mentors, but also grab hold of this experience and make sure you can explain, to yourself, each part of what you’re doing along the way. The fellowship year is packed with new experiences and for most of us is an important step in our personal and professional lives. Reflecting on the year it is easy to pick out steps of the process that I would do very differently were I to start over. These mistakes in the year are inevitable and encouraged – providing a safe place to make mistakes is, after all, one of the points of the Biodesign fellowship. Instead of focusing on the process itself, I would tell myself at the beginning of the year to not place too much pressure on making mistakes. We all come from backgrounds where mistakes are seen as weaknesses. Dropping the illusion of infallibility opens the door to many valuable attributes for the fellowship year: a deeper questioning of the status quo, a naïve perspective during observations, and a collaborative and effective team environment.